I was going through a box the other day in the garage, a painful task I had been putting off since my father brought it when he came to town for my son’s baptism. If I wanted my car stall back, I had to clean it out. It contained all the regular stuff a parent would want out of their home as they simplify and downsize: yearbooks, old newspaper clippings, tons of papers and — I’m embarrassed to say — a senior key that I wore with my letter jacket and football jersey on game days. As I glanced at the papers getting ready to pitch them, one caught my eye: At the top of the paper in red ink it said, “Great work! But the best is yet to come for you!”, Ms. Gresert. I pulled that one out to read and pitched the rest. I hadn’t thought of Ms. Gresert, my ninth grade English teacher, in years. For some reason, she always gave me good grades and encouraging messages even though I didn’t deserve them. The paper I found was titled “Awesome,” dated Nov. 24, 1987. The assignment was a sports-themed essay, and I remembered picking NASCAR® because the 16 other students in my class settled on football, baseball, basketball, volleyball and track. I really wasn’t a NASCAR® fan; I just wanted to be different and stand out. My research came from an encyclopedia, magazines and newspapers from the school library, and local NASCAR® fans, which really were not that hard to find in a blue-collar town in North Central Iowa. The story was on the 1987 NASCAR® Winston Cup Season. It focused on stock car racing, specifically The Winston, a.k.a. the All-Star race. Dale Earnhardt Senior made the famous “Pass in the Grass” that year, eventually winning the race and then the points championship. Tim Richmond, suffering from pneumonia, bowed out of the season, succumbing to the AIDS virus two years later. A guy they called “Awesome Bill” from Dawsonville set the track record for the fastest lap at Talladega at over 212 miles per hour and Daytona at over 210 miles per hour. The driver that caught my attention was the legendary Cale Yarborough because he drove a Cutlass Supreme like me and Hardees was his sponsor, a place that I loved to frequent. Richard Petty, Dale Earnhardt, Bobby Allison, Darrell Waltrip, Terry Labonte and Bill Elliot were on the grid too. It was the All- Star Race for the ages. These guys were the faces of the sport. They were personalities and they were drivers with drive. Little did these guys know they were transforming NASCAR® from a regional sport concentrated in the Southeast into an international phenomenon. NASCAR® now has 80 million fans and is televised in over 180 countries. Consumption has expanded from platforms of radio and television to digital and social. Our brand is one of the top ten in the sport, which is in the company of Coca-Cola and Goodyear. Not too shabby. Much like that of NASCAR®, the biofuels industry started with humble beginnings. Around the same time Cale was firing up his Cutlass Supreme, a team was just being born in Scotland, S.D. This team of its own personalities and drivers forever changed agriculture and rural life of that time. 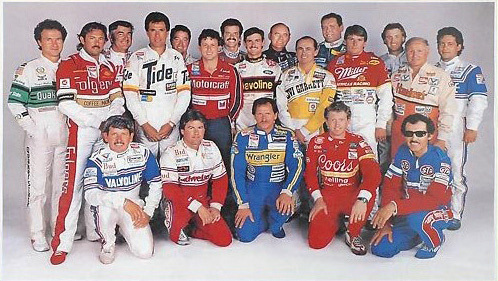 Like the all-star drivers of 1987, Team POET challenged each other, demanding the best. POET is now the largest producer of biofuels in the world, and they are far from contentment, because changing the world is a ceaseless job. We will continue to use NASCAR® and other powerful platforms to promote the benefits of a superior fuel, and we congratulate POET on 30 great years!